If you ever wished you could peek into the tightest spaces now you can! Clogged drain? Engine trouble? It helps to be able to see just where the problem is, which is where this handy endoscopic camera comes in. With an 6-way adjustable LED, this splash-proof, 2 MP resolution camera can slip into the tight or dark spaces your fingers or eyes can't and send a feed right back to any device you're using via WiFi! It's important to diagnose a problem at the source. This camera will help you get there. 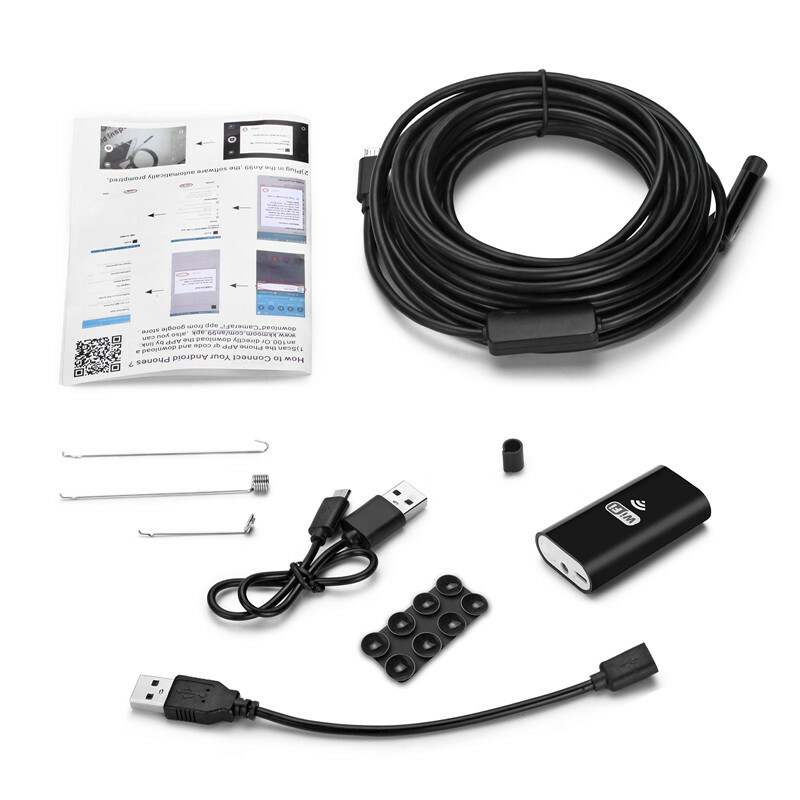 This new WiFi endoscope camera works with both Android and iOS mobile devices. Just install the easy to use APP, connect via WiFi and you are good to go. This new inspection camera boasts 6 adjustable LED lights giving you full viewing control. Grab yours now by clicking the 'Add to cart' button now!